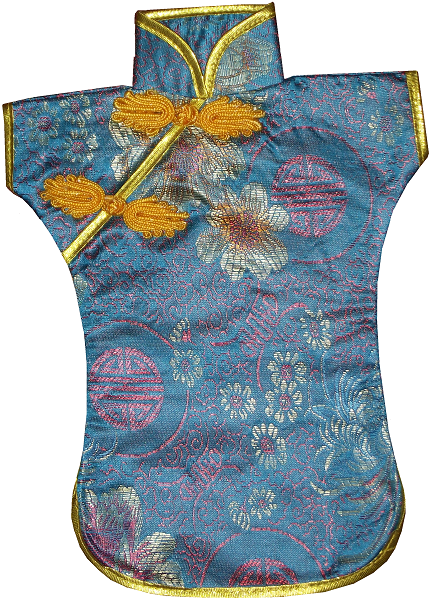 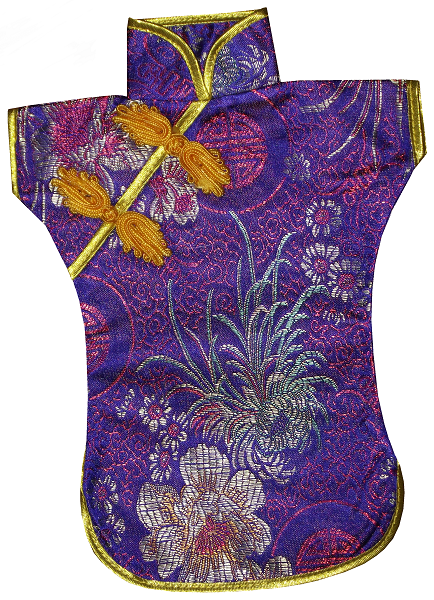 Dark blue Chinese style bottle jackets decorated with colourful floral patterns and longevity symbols. 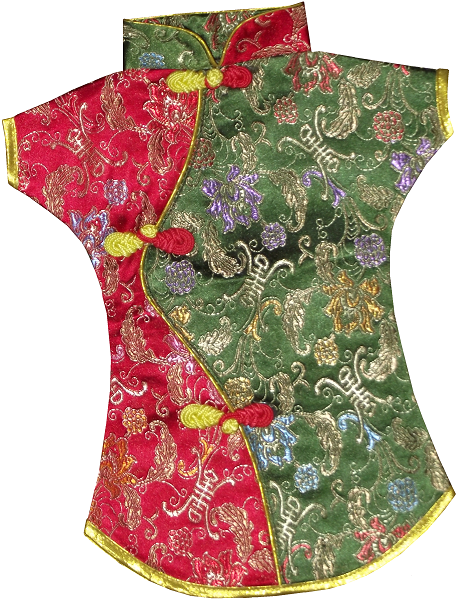 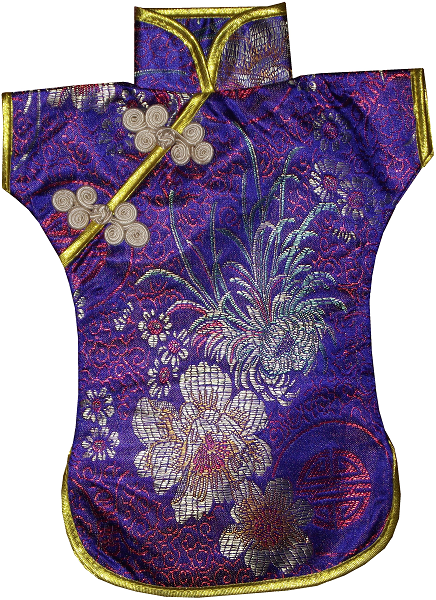 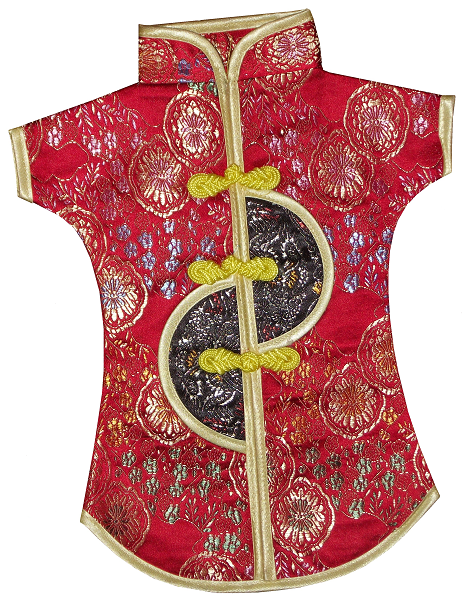 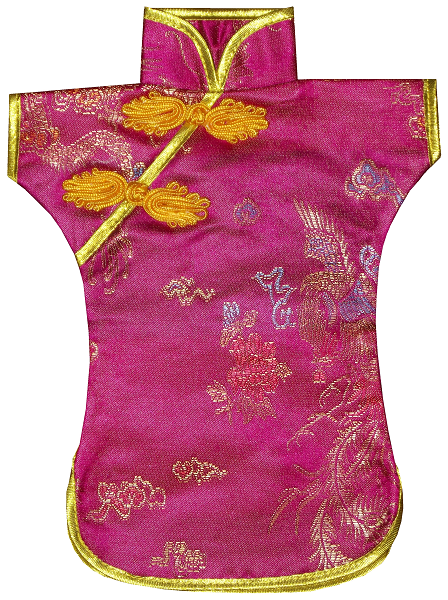 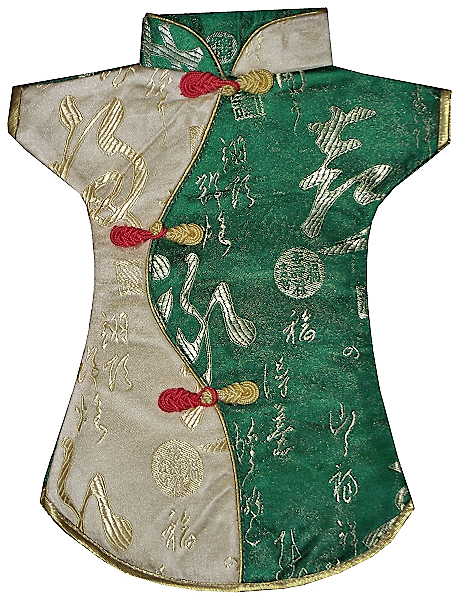 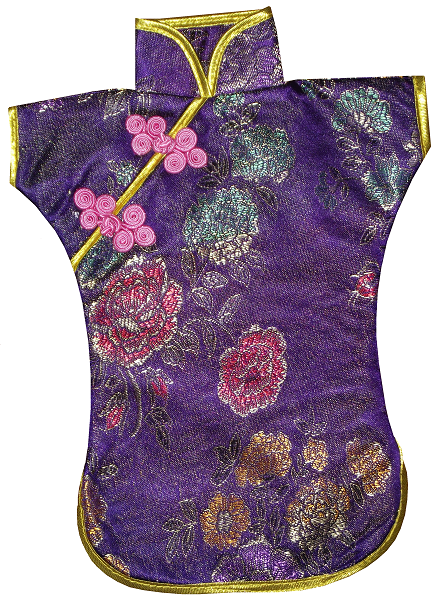 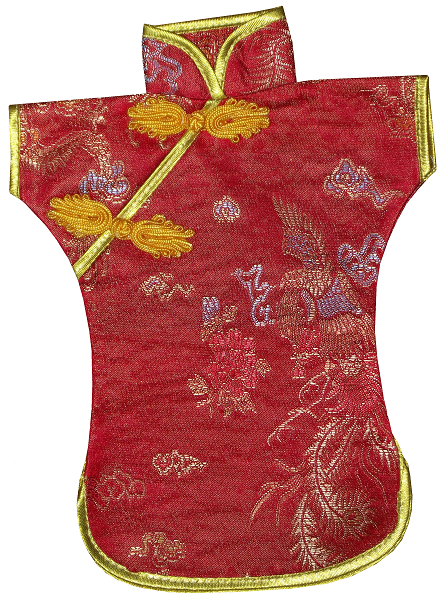 Made in the style of a Chinese dress the wine bottle jacket has imitation frog buttons, and is beautifully decorated with silk brocade patterns. 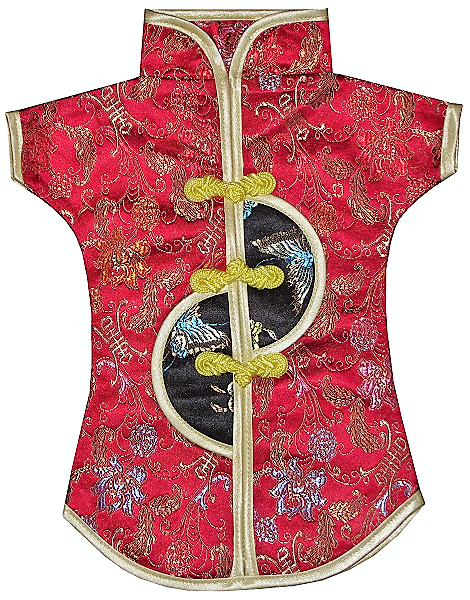 This jacket will accommodate most standard size bottles and is an attractive ornamental display item.